So every once in a while I feel the need to move away from the topic of social media to a more personal one. In January, my husband and I found a great house. It was the home of a friend’s mom, who sadly, passed away last year. The house has everything we could want, including an acre for the dogs to roam and run. Sounds great, right? Well, not so much. Because you can’t BUY a home before you SELL a home these days. Apparently too many people have gotten the mortgage to buy a new home and then just walked away from the old home (hmmm… why didn’t I think of that?) After the housing market crash and the recession I still say we haven’t recovered from, people knew that they were underwater with their mortgages and could never afford to pay off their home, EVER. So banks will most likely not give you another mortgage while you still have one open. So that means you have to sell before you buy. We bought our home in 2006 (yes, anyone who bought around that time knows where I’m going with this), we paid top dollar, and then the bottom fell out of the market. Now, our home is worth tens of thousands of dollars less then we paid for it, not to mention all the money we’ve put into it since then. I couldn’t begin to calculate it out because I would be sick. And now that it’s a buyer’s market, well, it’s not easy to sell. There are lots of homes out there, including short sales and foreclosures, that offer great homes at unbelievable prices, so how do you compete with that? So here we are, two months into the sales process, and we’ve gone through three open houses, a couple handfuls of private showings, two canceled showings an hour beforehand, one offer that was accepted that was then rescinded, another offer expected that never came through, and we’ve dropped the asking price once (so far). Now I would probably have more patience (well, maybe), except our agreement to purchase our new home expires on April 30, when the sellers will then officially put that house on the market, which it isn’t now. So we now have one month to get a buyer before we potentially lose the house we love. I’ve done some things on my part to put the house in its best light. I’ve done staging, rearranged things, took down pictures and packed away personal items, removed some clutter. The usual stuff. And of course I cleaned like a madwoman for every open house and showing. I baked goodies (chocolate chunk banana bread, snickerdoodle cookies, congo bars) for the open houses to get that homey smell in here, much to Mr. Jean’s delight. I even buried a statue of St. Joseph under our For Sale sign on the front lawn, and already have a place of honor picked out for him in the new home. This is apparently a commonly known help in selling a home. Even Bonnie, a fellow blogger and friend I met at SXSW a couple years back tells me she did this, and she is not even Catholic! And so far, no luck. And needless to say, I’m getting discouraged. Through this process, I’ve come to the conclusion that it’s just awful, and not one I recommend. In fact, I’ve already told Mr. Jean that if we ever get into that house, I am dying in that house. If you’ve had a good experience selling your home, or have some encouraging words to share, please do! I’m in dire need of some optimism right now. Oh, and if you’re looking for a house, I know of a great one for sale. Email me. We’ll talk. Categories: life, personal | Tags: buying, home, houses, pawtucket, real estate, Rhode Island, selling | Permalink. Anyway, enough about that. This year also marks another milestone for me — it’s been five years since I launched social media for my employer. It’s been an amazing, never dull, always something new, dip your toes in and try the water, learn from your mistakes and find the next big thing kind of five years! I’ve learned many lessons along the way, and I’ve met some amazing people. There are so many people you meet in social networks, especially like Twitter and LinkedIn, who are always willing to help, or to listen, or to read a blog post and to share it or to laugh with you or offer their sympathy. Then there are also people who never cease to amaze me, and usually not in a good way. Below is a list of some of the more remarkable things from my five years in social media that will forever be embedded in my memory. All of these are real, but I won’t use names or exact quotes, to protect the not-so-innocent. A tweet that stated the user would send a “bag of feces” to our patient financial services department if someone did not call him. He didn’t realize we were on Twitter, and was happy to get a response from us. Needless to say we were both happy he got a phone call. A Facebook user who demanded the hospital take down a post from its page because he didn’t agree with it and he didn’t think we were presenting it accurately… to the point of calling a member of the management team to demand it be taken down. It was a link to an actual news story I might add, not an OpEd. A post from an employee of one of our hospitals posting a picture of said hospital’s emergency department and saying never go to the [expletive] hospital. Lovely. The hospital staff member who had a blog and went into very specific details of his patients that day, including physical descriptions and what they were wearing and the health issue they were having. Did you really think that wasn’t a violation of federal HIPAA privacy laws or did you simply think those didn’t apply to social media. The child who was furious that his parents took him to one of our hospitals and had to be banned from the Facebook page because of his rantings, only to create a new Facebook page to “hate” said hospital. Obviously the warnings to parents we share about monitoring their children’s use of social media were ignored! The girl who took a picture of the “no pictures or videotaping without authorization sign” and then tweeted it and posted on Instagram for all to see. Nice. Now I know I represent my employer in all things social and so I have to watch what I say. I’m actually very nice and don’t say what I’d really like to say to these people when I respond. Although I do love surprising them when they don’t know we are active in social networks. But even if I don’t say it, I’m sure as heck thinking it! You can feel free to fill in the blanks. So now, dear readers, share some of the things that have surprised you the most in the social media world. Categories: blog, blogging, brands, communications, hospital, life, marketing, social media, Technology, Twitter, work | Permalink. I am an avid reader. For work and for keeping up with all things in the social media world, I subscribe to a number of blogs through Feedly. If you don’t know Feedly, I recommend you check it out. I came across it when Google announced they were doing away with Reader. I switched and never looked back. Bye-bye Google! (I love when I can say that, by the way.) It’s a great way to organize all the blogs you love and get a quick glance of what you’ve missed from the headlines. But I digress. Now that I’m back into my normal routine (and yes, I always use that term loosely!) I try to spend at least some time during the business day to try to keep up with what’s going on. What has LinkedIn changed lately? (By the way, if you missed the news that we will soon be able to post long form content on that network, read this post from Social Mouths). What are the best tools in blogging? I love to hit up my friend in social networks, Lisa Buben (@lisapatb) and her Inspire To Thrive blog, because she always has some great tips and tricks for readers. So by day, I go through quite a few of my favorite bloggers, which usually leads to quite a few tweets too. What I really love about reading is that you get to transport yourself. You can be brought to other lands through a well-written book, or develop new skills or new ways of doing something from a blog post full of tips and tricks. The jackpot, to me, is when you are inspired by an author. When you are moved to do something, or pushed to an action because of something you’ve read. Like a piece of amazing sculpture or a fabulous painting that evokes an emotion or takes your breath away, beautiful writing can have the same effect. When you’re inspired, that’s a sign of a truly good writer. Today I read a post by a gentleman named Danny Brown (@DannyBrown on Twitter). He is someone I’ve followed for years and with whom I’ve had a few interactions that are always appreciated. He has a wonderful way of writing, he has an incredible sense of humor, and he is also a truly giving person who strives to do for others. Today I read this post from Danny and I felt like he was speaking directly to me. Have I made mistakes with my blog? Absolutely. Will I make more? Most likely, but that’s OK. I realized that my goal is not to build lots of readers, but to build a group of readers who are going to interact with me. Who will comment on my writing, whether it be the message in any given post, or whether it is my style of writing and what might make us all better writers and bloggers. Now I will be the first to admit that I don’t usually take criticism well, but constructive criticism is something that can make us all better, and strive to be better! When you are kind enough to take the time to read my blog, I’d so appreciate a comment. I’d love to get conversations going. I know I’m not writing a thesis here that is meant to change the world, but I believe that we can all learn from each other, because we all have different experiences, tastes and points of view. And that is what makes the world of writing a beautiful place to be. 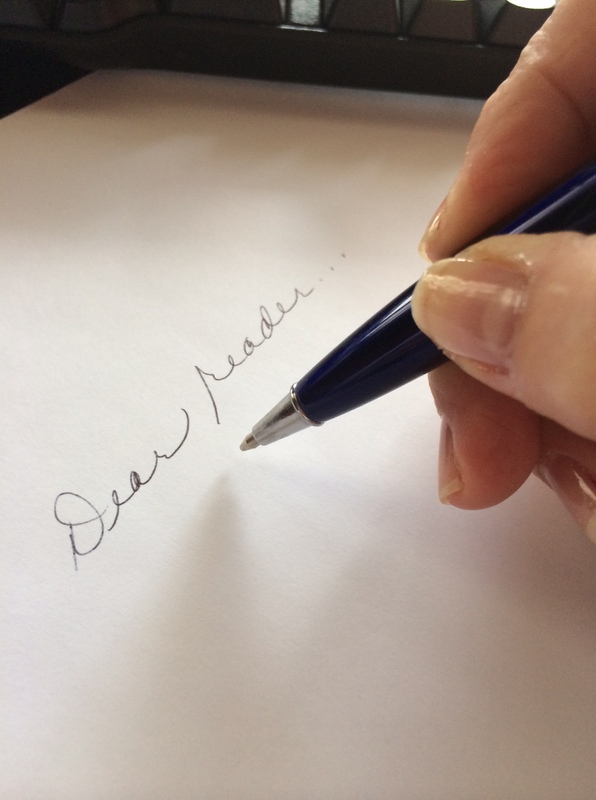 So with that, I throw it over to you, dear readers, to answer these questions… why do you read blogs, and what do you hope to do with your writing? Categories: blog, blogging, life, personal, social media, Technology, work | Tags: engagement, inspiration, inspired, reading, writing | Permalink. Schedules or Spontaneity – what makes you the best you can be? Plans and lists and schedules, oh my! For some people, that’s their worst nightmare. For me, well, I need structure. I need those plans, and lists to check off and schedules to follow. Even if I try to be spontaneous, it backfires on me and gets me agitated and anxious and worried. Whether it be my work or my personal life, when my routine and my schedule are thrown off, I’m in for a bad day, and probably a sleepless night. My husband, on the other hand, hates making plans, never uses a list unless he’s grocery shopping (yes, he does that and I’m SOOO grateful! ), and never feels the need to check anything off. If something gets done, it gets done, if not, well, it will get done another time. I can feel myself gasping for air at the thought of that. Opposites attract, so they say! It took me a long time to realize that this was just who I am. It’s not a character flaw, or a personality deficiency, it’s just the way I function at my best. When I was doing media relations as my job, it’s no wonder I was a walking breakdown ready to happen. The fact that any one phone call from a reporter doing a story can throw a wrench into the works of your day is too much for my need for organization and structure to bear. That’s why doing social media is such a good fit for me. I can plan my day around a set schedule, and do it quite easily. For a while, I was filling in as a media relations officer for one of the hospitals while we recruited a replacement for the role. So I was juggling my normal, set schedule, with a bit of the more haphazard, constantly fluctuating world that is PR and media relations. Looking back on this period, it’s no wonder I was a bit loony! Now I’m feeling more like myself, back into a set schedule and being more productive, and much happier. Social media lends itself to this type of personality. You can stick to a schedule, like responding to tweets and Facebook comments, set time aside to build content, and even identify a block of time when you can read blogs and articles to keep up with what’s going on in the constantly changing industry. Yes, it can be a 24/7 world, but it can also be one set by a calendar and a to-do list too. Ahhhhh, I feel better already. 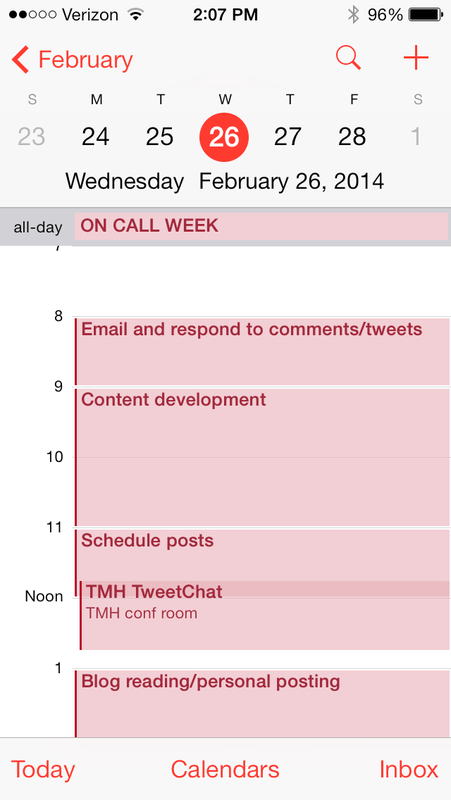 And wow am I productive when my days are carefully planned! What about you – are you a fly by the seat of your pants kind of guy/gal, or do you need that written-in-ink kind of day to be your most productive self and feel your best? Categories: blog, communications, life, social media, work | Tags: lists, plans, schedules, spontaneous, to-do | Permalink. For a long time, I struggled with doing regular blog posts. Then, just when I had gotten into a semi-regular blogging routine, wham. The proverbial you-know-what hit the fan. First, a colleague at work resigned so I was doing double duty filling in for that role while still doing my own job. Then the holidays were upon us. Then we put our house up for sale after finding a house we loved. (Anyone ever heard that selling or buying a house is one of the five biggest stress-inducing events in life? Believe it.) Now, combine that with a personal health situation (nothing major, but still…) and there you have it — all the ingredients for the recipe that makes a blog post just about the last thing on a to-do list. In fact, the thought of writing a post just added to my stress. I felt like it was one more thing I couldn’t possibly add to my already filled days. My hubby always reminds me that things could be worse and that we are very lucky. Sometimes he loses his patience with me because I lose focus on that. He’s right and I do appreciate all the blessings we have been given. Though, in the middle of times of stress and change, it’s not as easy to remember that. It’s easy to feel overwhelmed. 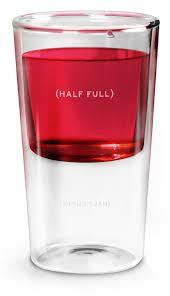 It’s easier to see the glass as half empty. So I’ve made a conscious effort to focus on the good things in life, to be more positive and see the glass as half full. Along with that is being grateful every day and not allowing “things” to overwhelm me. Going back to blogging is all part of it, because writing can be so cathartic (if it’s not viewed as a chore). I’ve also gone back to a regular exercise routine and some yoga thrown in a few times a week, and eating healthy and a few other things that contribute to a more serene, happy life. I’m grateful for the life I have. I feel very lucky to be at a point in my life where I basically enjoy what I do for a living, and am able to pay my bills every month and have a husband who keeps me focused on what’s important, and two dogs who make me laugh every day and show me what unconditional love is. The other stuff is, well, just that — stuff that sometimes gets in the way of things. But we shouldn’t let that “stuff” let us get sidetracked from what is really important in life. So here I am, writing my first post in about four months. I’ve also decided that I don’t necessarily want to always write about social media. So you may see some more personal posts thrown in here and there, and I hope you don’t mind. A colleague and friend I’ll call “E” actually made this suggestion to me. She a wonderful writer who has a fantastic blog I really enjoy. All of her blog posts are personal ones. She writes as a way of getting her emotions out and on paper, a sort of therapy; it’s a release for her, a way of coping. “E” went through a recent family tragedy, and right now is dealing with a serious medical issue with a loved one too. She has a lot more to deal with and feel stressed about than me. It’s a definite reality check when you see how much others are facing. It can make you feel silly, really, to think that you’re overwhelmed by things that are trivial to so many people who are going through much bigger issues. So that’s where I’m at right now, and for those of you who are reading this, thank you for still being here! I hope I don’t disappoint in this and future posts. Because anyone who takes time out of their own busy life to read anything I might have to say is just one more thing I’m grateful for in this life. And of course, thanks to “E” for the encouragement to write this post and get back to this. Sometimes all we need is a little push, and we should be thankful for those too! Categories: blog, blogging, dogs, life, personal | Tags: blogs, grateful, life, stress, writing | Permalink. 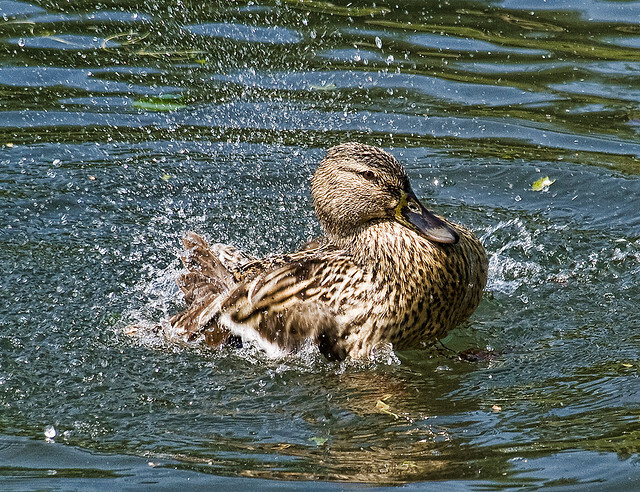 There are some days when you can just let things slide, like water off a duck’s back as the saying goes. There are other days, well, not so much. I’ve often said that I love my job and I do. I love being able to connect with people on a one-to-one basis. I love the trust that I’m given to represent a large organization that’s critical to the community. I love being able to feel like I’m doing something good by sharing helpful information that could improve the health of the community (like our mission says). I also love learning something new every day. But I am enough of a realist to know that sometimes loving what you do just isn’t enough. Sometimes the aggravation and the things that are out of your control that impact your day-to-day work just become too much to overlook. That, combined with the recent resignations of two colleagues with whom I really enjoyed working has gotten me thinking. A lot. So what do you do when you get to that point? Very good question and one I need to ponder. I’m not naive (at least I try not to be!). I am well aware that the grass isn’t always greener, so jumping ship to go to a perceived greener grassland isn’t always the best option. So that means you have to evaluate your options closely and figure out what can make things better. Clearly the answers to this conundrum will not be clear overnight. But it’s something to think about and to work on. Life is too short, right? We are the only ones who will make ourselves happy. So now I pose the question to my readers: have you ever felt like this? What did you do? Categories: communications, life, personal, work | Permalink. This is a rant. I don’t do these often. For a long time, though, I’ve had some thoughts I couldn’t quite put into words. It’s more of a feeling that just couldn’t be quite defined. Until now. But this week I came across a post that just got me thinking. And it made me mad too, and I realized that what I had been thinking about was this: people are expected to do way too much these days, and something’s gotta give. Here’s the post: “Why productive people work on Sundays.” The title alone annoyed me. It implies that people who don’t work on Sundays are not productive. Wrong. Everyone has their own way of working and everyone has their own workload to manage. It doesn’t mean that you have to work on Sundays to be a productive, worthwhile member of society or a valued employee of a company. I consider myself to be a very productive person and pride myself on how much of a workload I manage on a regular basis. I do what it takes to get the job done, and I know I’m not alone in that. And I’m willing to bet that all those other productive people are not working every Sunday. The other thing that bothered me about the post is the fact that this writer is suggesting that we take time out of what is conventionally known to all as the “day of rest.” For me and Mr. J, Sunday is our day to enjoy the morning and relax and then go out for a leisurely lunch and cocktail. 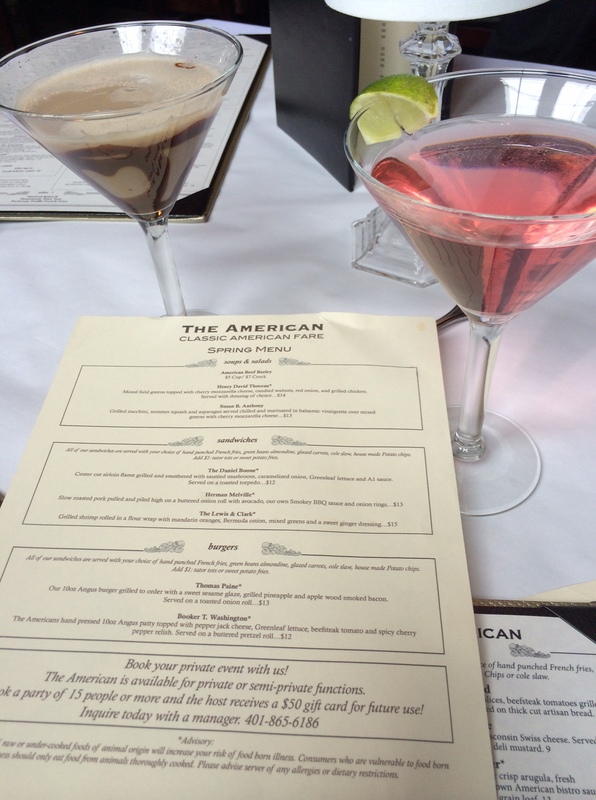 It’s the one day we indulge ourselves in some R&R time. That’s our time together. I would imagine that for those with children, that day is ever more precious, and needed more too! Now granted, there are some professions and jobs that just simply have to work on Sundays… nurses, doctors, waiters and waitresses, the retail industry, and the list goes on. But those people have other days off. The other thing that post made me realize is that there are some factors at play that make up the reality of today. Thanks to the horrible economy, most companies have fewer people expected to do more with less money. So there’s a bigger workload for most people, who are already stretching themselves too thin. And how many hours of our lives are we expected to dedicate to a job rather than our lives? When did it become the norm to live to work rather than work to live? Now, let’s add to these expectations the fact that if you’re not part of the social media world you’re probably not going to be a top candidate for any jobs in the field of marketing or public relations (or any number of fields for that matter), right? In this industry, if you’re not part of social media, you may as well call it quits and retire. So let’s add on the hours that you can spend (lose?) just keeping up with Facebook status updates, tweets, retweets, hashtags and lists in Twitter, Instagram pics, Pinterest pins, and so on. And don’t forget the time post to your own blog, and catch up on the reading of all your fave blogs and commenting on those posts. Hmmm. Do you see where I’m going here… suddenly a 40-hour a week job becomes 60 just to get your work done and keep up with everything in the social sphere. I know there are many people who are just totally driven and are not happy unless they’re working all the time. But for the most part, those people are often self-employed. There are others of us who work for companies who are trying to do manage workloads that should be handled by more than one person, and who are also trying to keep up with being a part of the social world. They also try to maintain some sort of family life. As my dad used to say, “You’re burning the candle at both ends.” I can’t think of a time in history when this is more true. And this is the reality of today. I don’t think everyone can keep up this pace for too long. 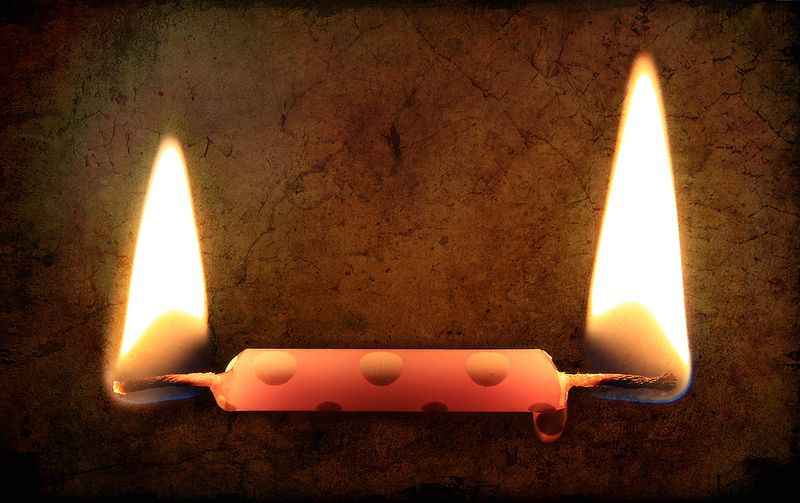 Eventually, it’s going to meet in the middle and there will be no wick left, and the candle is not a candle anymore. It’s given all it had to give. There’s nothing left to burn. So how long do you think you can keep going at the pace you’re going? When is your candle going to meet in the middle? Do you feel it necessary to work on Sundays? Do you think it’s necessary to be productive? So many questions. I’d love to hear from you. Categories: blog, blogging, communications, life, marketing, personal, Technology, unplugged, work | Tags: family, productive, productivity, relaxation, rest, Sundays | Permalink.